This stunning Chelsea lantern is all made by hand from copper. 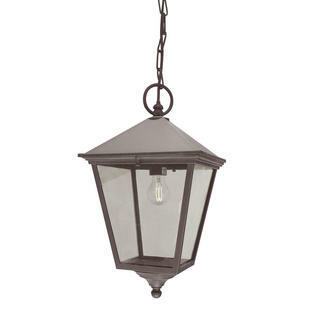 It is a beautiful statement piece as well as being a lantern of the highest quality. 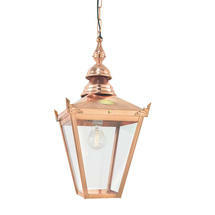 It has a clear polycarbonate lens and will look even more attractive if a filament lightbulb is used. 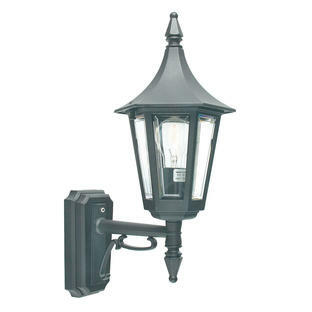 The chain is included with the fitting, the liks can be removed to adjust the height of the lantern. 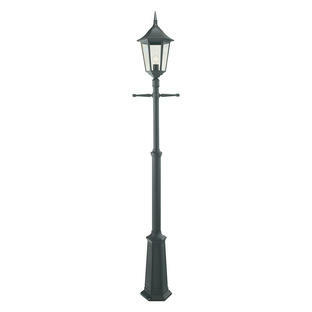 Also in the Chelsea range are wall lanterns and pedestal lanterns.